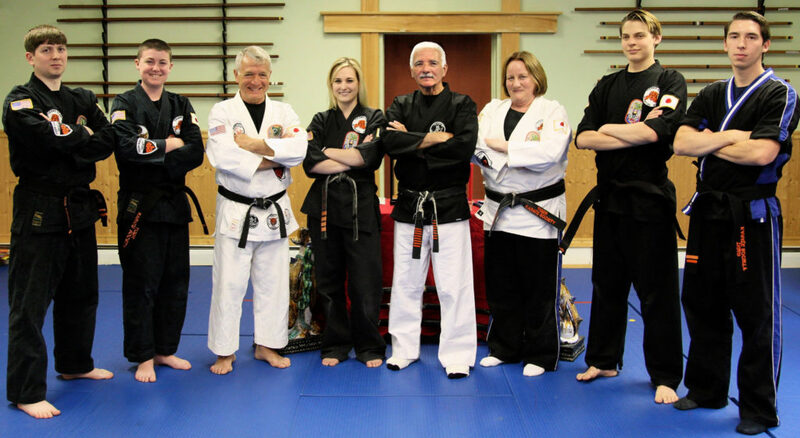 Tiger’s Claw MA Instructors at the 2016 Traditional Black Belt Ceremony. Our Instructors have spent many years devoted to training in the art of Karate and other martial arts and have attained a certain level of expertise to qualify them as teachers and also mentors. 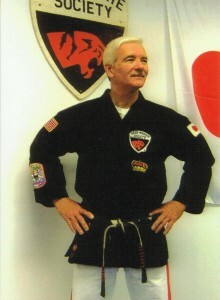 Professor Ronald Allen Mertz is a 10th Degree Black Belt. 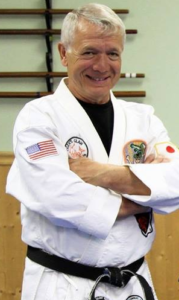 Professor Mertz was awarded the Platinum Lifetime Achievement Award in November of 2006 for having over 50 years of training in the Martial Arts. Professor Mertz continues to pursues his lifetime passion of teaching the Martial Arts to children, teens and adults. 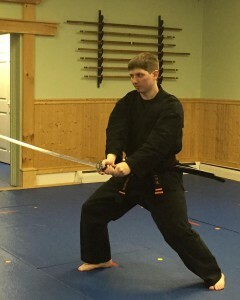 Professor Mertz also teaches a limited number of private students and lessons in Isshin-Ryu and Tiger Commando. His own system “Mugei-Mumei-No-Jitsu” “The Silent Way” is Shaolin based and taught privately only. Grandmaster Professor Mrofka granted Professor Mertz the title of Director for the Tiger Karate Society. Maureen MacDougall-Mertz 7th Degree Black Belt opened the new headquarters for Tiger’s Claw Martial Arts in August of 1999 in Hillsdale, NJ with help and direction of her husband, Professor Ronald Allen Mertz. The goal is to continue to create a classical Isshin-Ryu karate school for both children and adults, while offering a variety of other Martial Arts related classes. She was the recipient of the IAMA Children’s Instructor of the year 2005 for originating and developing The Little Tiger’s Program in 1999. Sensei Maureen Mertz continues to train with Professor Mertz specializing in the classical weapons and self defense. Sensei Maureen is currently ranked in the Tiger Commando Fighting System. She was a state ranked champion and member of the Amateur Athletic Union. Some of her awards: 2005 IAMA Gold Medal Kata, 2002 Gold Medal Weapons, 2002 Gold Medal Kata, 2002 Gold Team Weapons (Sai), 2001 Gold Medal Kata, 2001 Gold Medal Self Defense, 2001 Gold Medal Team Weapons (Sai), 2001 Bronze Medal Sai, 2000 Gold Medal Weapons (Sword), 2000 Silver Medal Kata, 2000 Bronze Medal Self Defense. She is a member of the Association of Women Martial Arts Instructors since 2000. She is trained in Qigong Level One, certified in sports massage therapy, LMT, and studied Feng Shui with Judith Ryan. Sensei Maureen is a registered member of the Tiger Karate Society since 1996. Sensei Franco Musano, 7th Degree Black Belt has studied Isshin-Ryu Karate and the Tiger Commando Fighting System under Professor Mertz for over 25 years. He was a member of the Gold Medal winning TCMA Weapons Team at the State Games for two years and is one of our advanced trainers for our competitions. Sensei Franco ran the Tiger’s Claw Dojo in Park Ridge for several years. He has also studied Traditional Chinese Medicine courses under Professor Mertz. Sensei Franco has also studied Tai Chi, Feng Shui and Aroma Therapy. He has been long involved in area soccer, another life long passion. Sensei Franco is a registered member of the Tiger Karate Society. Sensei Caitlin Origoni, 4th Degree Black Belt has studied Isshin-Ryu & Tiger Commando Fighting System directly under Professor Mertz for over 16 years. Sensei Caitlin was one of the first students to attend the TCMA Dojo in Hillsdale at age 8. She was a member of Professor Mertz’s 2004-2007 Master’s Club. Sensei Caitlin continues to train and learn from Professor Mertz & Master Franco. Her dedication and expertise in the Art of Karate is being passed down to the students she now teaches. Sensei Caitlin is the Lead Instructor for Master Maureen’s Little Tigers Program. Sensei also teaches classical Isshin-Ryu Karate, Self-Defense, Kata & Weapons. 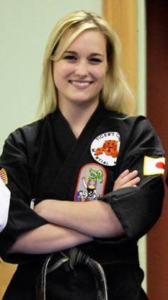 Sensei Caitlin is available for private lessons in both Kata & Weapons. She is a registered member of the Tiger Karate Society. Sensei John Costello, 2nd Degree Black Belt has studied Isshin-Ryu & Tiger Commando Fighting System directly under Professor Mertz for over 10 years. Sensei John attended Professor Mertz’s 2005-2008 Master’s Club. Sensei John continues to train with Professor Mertz & Master Franco. Sensei John is skilled in Self-Defense as well as Isshin-Ryu Karate. Sensei John also teaches classiscal Isshin-Ryu Karate, Self-Defense, Kata & Weapons. Sensei John is a registered member of the Tiger Karate Society. 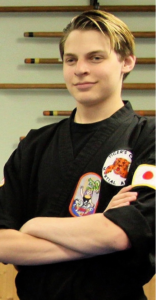 Sensei Zachary Beja, 2nd Degree Black Belt, has been a student at Tiger’s Claw Martial Arts for over 12 years. He has studied Isshin-Ryu & Tiger Commando Fighting System directly under Professor Mertz. Sensei Zach was a member of Professor Mertz’ Master’s Club from 2011-2014. 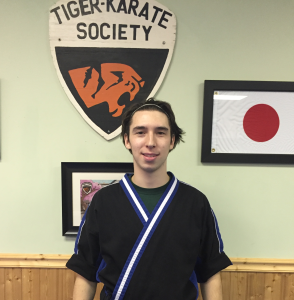 Sensei Zach is an assistant instructor for Master Maureen’s Little Tigers program. He also teaches classical Isshin-Ryu Karate, Weapons, Kata & Self-Defense. Sensei Zach is a registered member of the Tiger Karate Society. Sensei Laszlo, 1st Degree Black Belt, has been a student at Tiger’s Claw MA for over 10 years. He has studied Isshin-Ryu under Professor Mertz and was a part of the 2010-2016 Master’s Class. Sensei Laszlo is an assistant instructor in Master Maureen’s Little Tigers program. He also teaches classical Isshin-Ryu Karate, Weapons, Kata & Self-Defense. Sensei Laszlo is a registered member of the Tiger Karate Society. 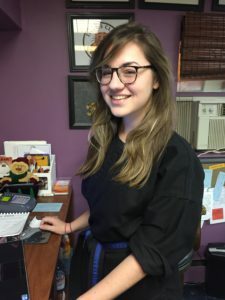 Lexis Horvath is our front desk manager and one of the Little Tiger’s class instructors. Lexis attended Professor Mertz’s 2009-2012 Master’s Class. She is a registered member of the Tiger Karate Society.